Tropical moisture is still lingering over extreme South FL and threatens to shut down migration out of the state tonight. Birds that landed in South FL and the FL Keys last night and this morning, might get stuck here waiting for better migration conditions if the bands of precipitation and wind hold together. With the impending front coming in from the north we may see a “stack up” of sorts. The front isn’t the strongest and doesn’t boast the stiff northerlies that would trigger a massive movement of migrants, but birds should still move out ahead and behind the frontal boundary. 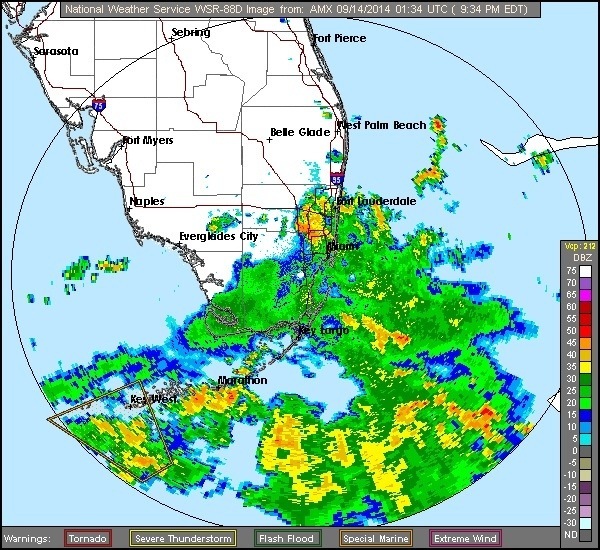 Miami radar showing tropical moisture coming in from the south. 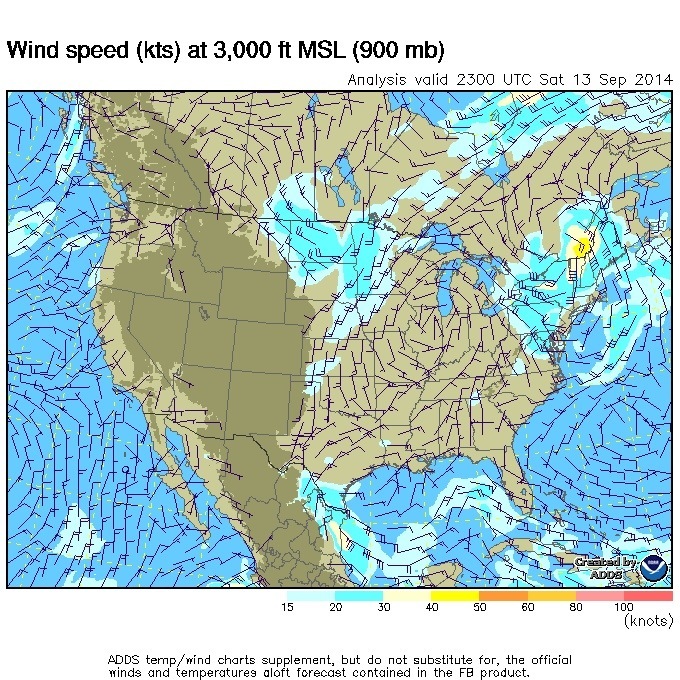 Southeasterly winds feeding the surface low with warm tropical moisture. 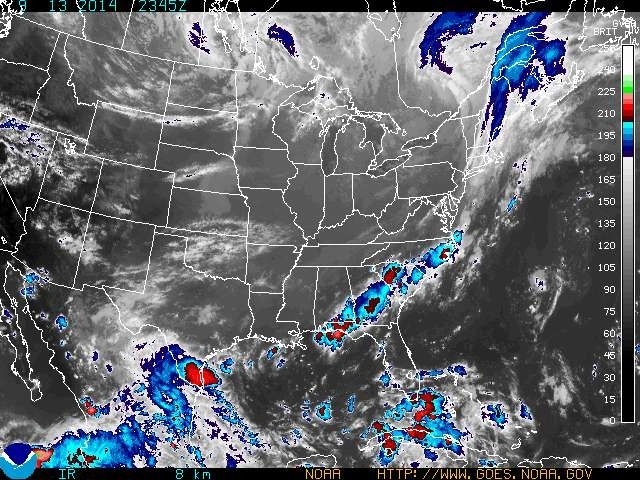 Satellite imagery shows some clear skies north of South FL and frontal boundary along the FL/GA state line. Southeasterly winds should continue to feed this surface low pressure overnight an into the day on Sunday. 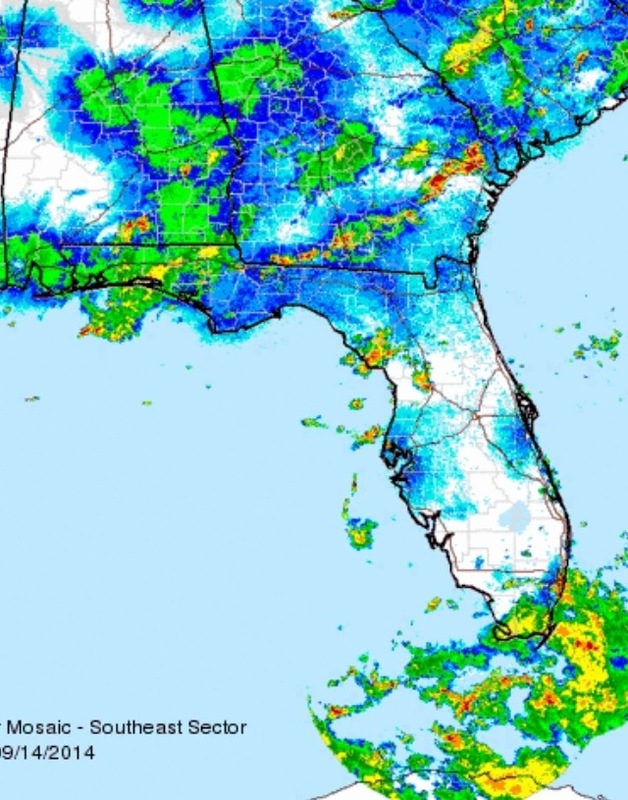 This will only increase the chances that birds will stay put and that the storms limited footprint on the state will allow birds flying the clear skies north of South FL to fly into a trap of sorts. 12hr forecast shows that precipitation moving west into the Gulf may block migration out of the state via the Gulf coast.